Forrest Edward Mars Jr. was born on 16 August 1931, in Oak Park Township, Illinois USA, and is best known as the grandson of the founder of the Mars confectionary company, on the board of directors of which he now sits. Forbes magazine ranks Forrest as the joint 22nd richest person in the world in 2015, along with siblings Jacqueline and John. So just how rich is Forrest Mars Jr.? Forbes estimates that Forrest’s net worth is now $27 billion, virtually all accumulated as a result of owning one-third of the Mars confectionary company. 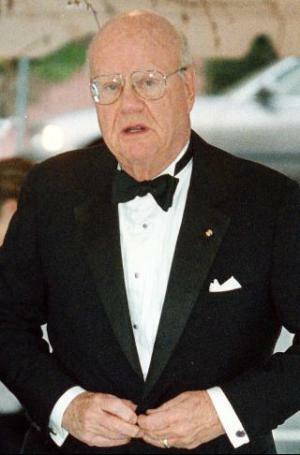 Forrest Mars Jr. was educated at the Hotchkiss School in Lakeville, Connecticut, and subsequently graduated with an MBA from Yale University. Forrest’s grandfather Frank started the Mars company name in 1911, supposedly making chocolate in his Tacoma, Washington kitchen. Having gone bankrupt once, Frank perservered, and after Forrest Sr. joined in 1929, the firm invented the malt-flavored nougat inside Milky Way and Snickers. M&Ms started in 1941 and during WWII the candies were sold exclusively to the military. The company then began diversifying, into such brand name products as Uncle Ben’s rice and pet food brands Pedigree and Whiskas. Forrest Jr. began his career with the company in the late 1950s, and shortly afterwards became president of Mars Chocoladefabriek, N.V., making candy in the Netherlands for sale throughout the Common Market., but mostly based in Paris. His net worth grew commensurately with the success and growth of this part of the Mars company, as well as the umbrella conglomerate. Forrest Sr. retired in 1973 and turned the company over to his three children, who had a vested interest in the operations, and although they did not run it day-to-day, all sat on the board of directors. Forrest Jr. was apparently the more business-minded, and the company continued to grow and prosper. The company acquired gum maker “Wrigley” in 2009 for a massive $23 billion to create the world’s largest confectionary company. At that point, “Mars, Incorporated” was also the fifth largest privately held company in the US. In his private life, Forrest Mars Jr. has been married twice, firstly to Virginia Cretella: they divorced in 1990, and have four children. Forrest Jr. then married Deborah Adair Clarke, they divorced in early 2010, and have three children. Forrest Jr. currently lives on his ranch in Big Horn, Wyoming. As with many billionaires, Forrest Mars Jr. is able to indulge himself by supporting favourite charity organisations and other institutions. A generous philanthropist by nature, the billionaire has made considerable financial contributions to “Colonial Williamsburg Foundation” and to the governing body of “Fort Ticonderoga”, as well as the Smithsonian Institute. The body of this report mentions $27 billion, while the headline says Million..